Let get our hand dirty by installing DPM 2012 R2 (Preview Edition). Installation on DPM is still remain the same except on this page. We can now make the DPM database high availability by placing it on SQL cluster. During installation, you can select stand alone or SQL cluster. Here is some guidelines which I’ve configure on my test lab environment when using remote SQL Server. a) Install DPM Remote SQL Prep from the media kit. c) Create DPMDBReaders$<DPM server name> and DPMDBAdministrators$<DPM server name> local groups on the remote SQL Server. Add DPM Administrator account into these group. d) Configure Windows exception to llow SQLServer.exe to use port 80.
e) SQL Server is install with default collation. On remote SQL server, do remember to install the SQL Reporting. 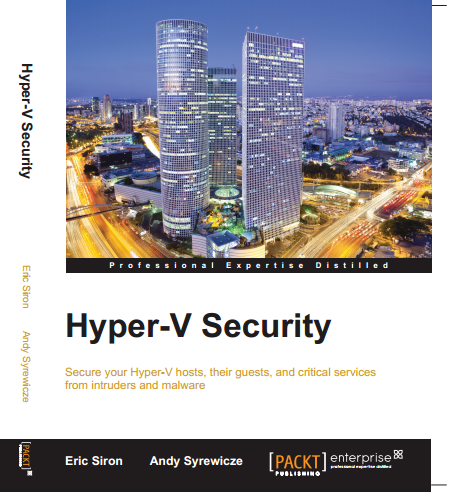 Anyone perform VM export on previous version of Hyper-V? Do you like it? You probably find it irritating especially the VM is up and running. In order to perform export, you need to shut down the VM and this will eventually impact your production environment. With this features, we can eliminate zero downtime to create a clone VM. Snapshot or Checkpoint in Windows Server 2012 R2 Hyper-V? 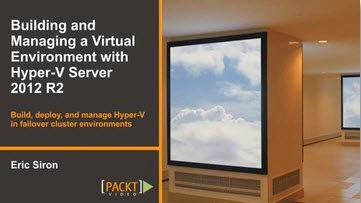 If you’ve been playing around with Hyper-V hypervisor, you will know about a feature called “Snapshot”. Snapshot allow you capture the state, data, and hardware configuration of a running virtual machine. It allow us to easily revert the virtual machine to a previous state. Most of the time we use snapshot during development or test environment. I should just remind again as recently few of my customer are having the same issue due to snapshot. Now why snapshot is not recommended in production environment? 1. Snapshot will create a temporary file with an extension .avhd. This temporary file will consume storage space and will grow. User will not realize that suddenly all the virtual machine which located in the same volume is in “Paused” state. This because snapshot has occupied the entire storage space. 2. Snapshot will degrade the disk performance of the virtual machine. 3. Snapshot is not supported to use on VM hosting Active Directory Lightweight Directory Service role in Windows Server 2008, Windows Server 2008 R2 or Domain Services (2000 / 2003). Let back to our topic. According to my testing on Windows Server 2012 R2 Preview , snapshot name has changed to “Checkpoint”. Finally Hyper-V and VMM has standardize on using the same name: “Checkpoint”. The step is still similar as previous version. On the VM, just right click and select Checkpoint. 2. Do remember to remove the checkpoint. 3. If you’ve using Hyper-V 2008 or 2008 R2, do remember to shutdown the VM in order for merging process to take over. The temporary file (.avhd) is still remain on the volume. Once turn off, please wait till the merging process is complete before turn on the VM. If you’re using Windows Server 2012 or 2012 R2, you can safely delete the checkpoint while the VM is running. It will performing merging at the background. Good news! The bits for Windows Server 2012 R2 (Preview edition) has released. 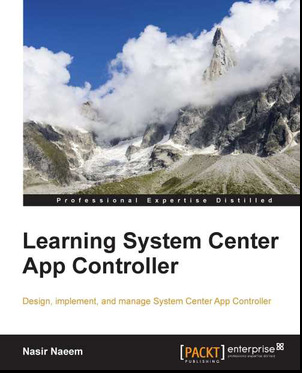 If you’re interested, please login to Tech Net/ MSDN to download. Let look on Generation 2 VM. If you go and create a new VM, now you’ve an option to select Generation 1 or Generation 2 VM. If you look at the diagram above, do take note that you cannot change Generation 1 to Generation 2 or vice versa. The question is when you should select G1 and G2? Well, If you plan to create Windows Server 2003 – Windows Server 2008 R2 VM, then you must select Generation 1. Now BIOS changed to Firmware. During installation of operating system, let look on creating 1st partition. Virtual machine operating system boot time can be up to 20% faster with generation 2 virtual machines. Installing the guest operating system can be up to 50% faster with generation 2 virtual machines. Note:- the screenshot listed above may change when product release on RTM version taken using Windows Server 2012 R2 Preview Edition. Last few days ago, I have attended a public joint webinar between Cisco and Microsoft about Cisco Nexus 1000V. Here is some of information that I think it is useful to share with everyone. Cisco unveiled the Cisco Nexus 1000V and using forwarding extension. Cisco Nexus 1000V VEM is require to install into each Windows Server 2012 Hyper-V.
VEM is control by Cisco Nexus VSM. One VSM can control multiple Cisco Nexus 1000VEM. For high availablity Cisco Nexus 1000V VSM, it is recommended to deploy two VSM in Active-Standby mode. 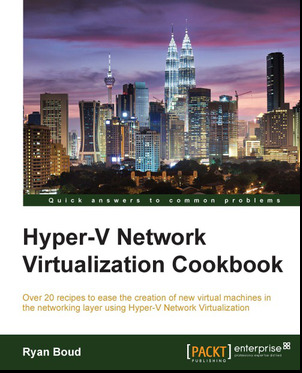 Cisco Nexus 1000V can support both popular hypervisor:- Hyper-V and Vmware. However you cannot use the same Nexus 1000V to manage both ESX and Hyper-V. You should deploy separate Cisco Nexus 1000V for different hypervisor environment. Now let look into operation model with SCVMM with Cisco Nexus 1000V. Please refer to below diagram and look at the flow 1-5. In order to test this task, you’re require to submit an application to test Backup Vault. I can create a backup vault by using MSDN –Visual Studio Premium. My another account MSDN –Visual Studio Professional was not able to create backup vault. The purpose of creating a backup vault at Windows Azure is because i would like to perform a store backup data from DPM 2012 SP1 to Windows Azure. Note:- This articles will replace my previous post which was written using DPM 2012 SP1 Beta. 2. Once you have created your 1st Backup Vault, you are require to upload public certificate to the backup vault. The certificate should be an x.509 v3 certificate. You can create a self-signed certificate, or use any valid SSL certificate issued by a Certification Authority (CA) trusted by Microsoft, whose root certificates are distributed via the Microsoft Root Certificate Program. The certificate must have a valid ClientAuthentication EKU. The certificate validity should not exceed three years. You must specify an expiry date, otherwise a default setting that is valid for more than three years will be used. The certificate should reside in the Personal certificate store of your Local Computer. The private key should be included during installation of the certificate. To upload to the certificate to the portal, you must export it as a .cer format file that contains the public key. a. Install Visual Studio or install Windows SDK to use the makecert tool. c. If you will be registering a different server than the one you used to make the certificate, you need to export the .pfx file (that contains the private key), copy it to the other server and import it to that server’s Personal certificate store. 5. Install the WABInstaller (17MB) on your DPM Server. During installation, make sure you’ve sufficient Cache Location (min 2,5Gb). This location will be use to keep track of the files that been backup. b. Open DPM Administrator Console, click Management, click ONLINE and select Register from the toolbar. d. On proxy configuration page, click Next . Do fill up if your environment is using proxy server. e. On throttling setting, set the Internet bandwidth based on working hours and days. g. On Encryption Settings page, click generate passphase. Remember to save it to notepad and keep in safe location. This passphase key is use to encrypt all backup from DPM server. Note:- All these settings can change by clicking on Configure Settings when you can successful register..
h. Click Register to complete the registration process. If you return back to Windows Azure portal, you will see that your DPM server has successfully registered. 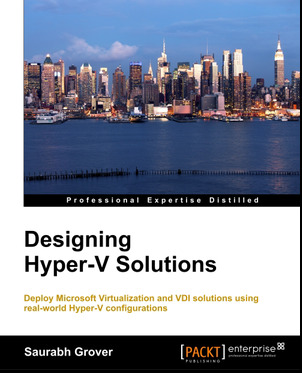 Last month, Microsoft has released a Capacity Planner for Hyper-V Replica tool which provides the IT administrator to design the server, storage and network infrastructure which is required to successfully deploy Hyper-V Replica. This tool is useful once you have deploy Hyper-V in our environment. 2. Tool need to install on the primary server or one of nodes from the cluster. 5. 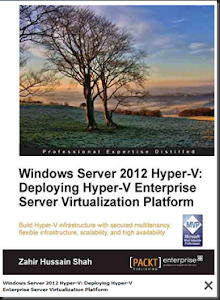 Hyper-V server must be running Windows Server 2012.
b. Select a VM/VHD that you want to analyze. A copy of this VHD will be copy to a temporary location. Example:- selecting a Ubuntu VM. 4. Lastly after collect various metric, the tool will produces a capacity planning guidance. Here is a sample report on our testing. Primary Server after enable replication require at least 2.37MB and 1.38 for total churn replication in 5 min. It is require to keep track the changes to the virtual machine in a log file. The churn will capture the workload/ write to the VM across all the VM on which replication will be enabled. Meanwhile on the replica server, it will provide the size requirement for initial copy, latest recovery and additional storage per recovery point. iv. Network/bandwidth based on estimated WAN bandwidth between primary and replica server. It will provide the average network bandwidth based on workload churn observed during the duration of the run and recommend setting that you can configure for maximum active transfer. Good news! Yesterday during Microsoft Tech-Ed North America 2013 keynote, Microsoft has make an announcement regarding Windows Azure new offers. Horray! It is one of the best news. 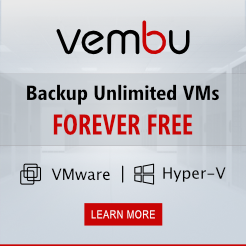 No charge for stopped VMs. Previously any stopped VM will be charged but now we no longer need to delete those stopped VM during testing period. Note:- Applicable for MSDN Dev/ Test Rates and if you’ve exceeded the MSDN credit limit. There will be no charges when you create a virtual machine and install with either Sharepoint, Visual Studio, SQL Server and Biz Talk Server 2013. For MSDN subscriber, you will be given an MSDN Credit based on your subscription. I just login to Windows Azure portal and saw my account is ready to switch “MSDN credit” in order to use the new credit. All you need to do is click on the link (according to red arrow) and wait for a week. After you have take the offer, the 1st month will be given $200 credit and subsequent month will be charges based on your MSDN credit. Let say you plan not to take the offer, then your account will be automatically converted to use credit starting from 1st August 2013.